Feeling peaceful, fulfilled, and relaxed as a social media marketer? Not if Facebook has anything to do with it. Oh, and all the Lit and Yaas stickers on Instagram you thought were so magnetic and romancing. Flames. Fake news, full feeds, fast unfollows. It’s stressful, painful, and even sometimes dismal. Social media trust has taken a nosedive leaving brands scrambling to figure out a functional sales funnel. 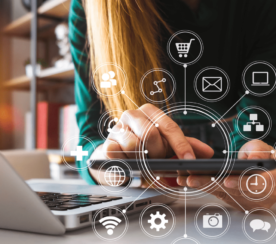 Once the golden child of digital marketing, social media continues to shock, surprise, seduce, defy, and when done right, even sell. Social media famously does not allow marketers to get too comfortable. Stay clear and focused and know how to stay in the social media zen zones. Known as the most trusted social media network according to 2018 The Digital Trust Report, LinkedIn is experiencing a love fest with its professional user base. Minus the algorithm headaches and plus the newer features such as live video, positive network vibes, engagement, and exposure possibility are at an all-time PR high. “LinkedIn is by far the easiest network in the world to go viral on,” said LinkedIn Ad expert AJ Wilcox. While every network is trying to suppress and show less to their users, LinkedIn wants to show more. Anytime someone hits “Like”, “Comment”, or “Share”, that update is shown to part of that person’s network. If you share things that make people want to interact, you’ll get a ton of views from people outside your immediate network, said Wilcox. Back to the trust factor. People also feel safe sharing professional content on LinkedIn because it’s the acceptable place for it. That means when you share work-related content, your great aunt won’t be commenting on how proud of you she is, and your work colleagues will chime in. If you are looking for cooking, shopping, decorating, dieting, or researching just about anything, Pinterest is chanting Ommmmm. Good news for the brands if your audience is on Pinterest, there is still lots of opportunities to drive referring traffic. With more than 250 million people using Pinterest monthly, Pinners span the globe, but they all share an important trait: they’re actively seeking help and inspiring ideas. People use Pinterest to plan for what’s important in their lives. Reach your audience for less than other social networks. With its “presidential” effect, Twitter has had a bit of a rebirth since the last election. With more than 326 million active monthly users, Twitter’s speed, freedom of speech, and potential abuse make it a social network to thrive or dive. Don’t underestimate the power of Twitter’s 280-character length. One of the fastest and most powerful ways to break news and persuade the media is with Twitter. 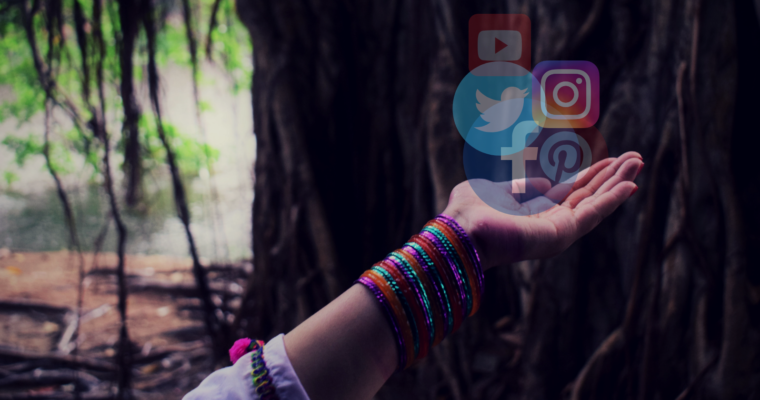 If you are looking to engage with the media, start a movement like #MeToo or share your brand’s thought leadership, news or opinions, head over to Twitter. Warning: Just make sure you are not under the influence, tired, or in a bad mood. One wrong tweet and you could end up in a not-so-positive news story. Be intentional in who you follow and why. Attention is only valuable if you are in front of the right audience. Who would have believed YouTube stars would be more influential than mainstream media? Finding fame has never been easier than YouTube – just ask Justin Beiber or this year’s top YouTube earner. 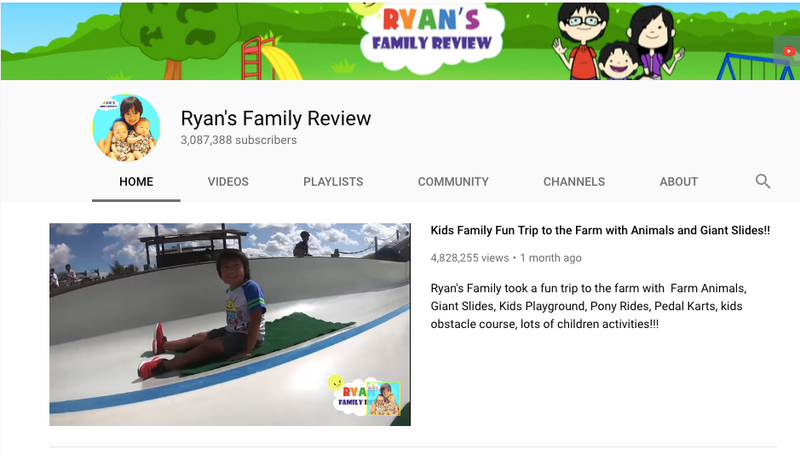 Meet the 7-year-old boy named Ryan who earned a cool $22 million last year playing with toys and uploading YouTube videos. Seems pretty peaceful and low stress to me. Digging a little deeper into Ryan’s YouTube channel, you will see all the magic happened despite not having any effort into optimization. None of the video descriptions include links back to any website. Even the About section does not have working links – an online marketer’s nightmare or field day. What’s the secret to Ryan’s YouTube Success? Then, explain all the toys’ features while playing with them. Finally, upload a video to YouTube. Cha-ching, you’re a multi-millionaire! A few things brands should take notice – sound quality was not ideal, the videos are far from perfect quality, and there was no real strategy. All brands aboard. Get ready to hit saturation. Once everyone joins the party, it’s not as exclusive and things seem diluted and fabricated. Instagram still shows signs of organic opportunity but with its growth pace of reaching 1 billion users, the future looks harsh. So what can you do to stay zen? Post more authentic content to filter out from the people who try to only post content that makes others believe they live in this great fantasy world where nothing goes wrong. “Like any social network ages, it loses its niche as wider adoption occurs. Instagram is starting to go through that, and it’s harder and harder to avoid the Instamodels and the Joneses,” Wilcox said. It’s hard to tell what’s real and what’s filtered, leaving users skeptical. Hairstylist Kat Chase lets her followers know how to spot a fake on Instagram. And then this is where users turn to for advice and offer reliable sources to her stream. Instagram is breaking new barriers when it comes to reporting news, giving Twitter a run for its breaking news money. If your audience is scrolling Instagram, this is where you break news and make news. Everyone must know one thing – you can’t just post anything wherever, whatever. Commit to the feed and tell a story in Stories. The good news: everyone and your grandma is on Facebook. Facebook offers more opportunity than any other social network. With more than 2 billion users it shows no sign of losing. One slight problem, it’s complicated, organic reach is dead, and Facebook marketing “gurus” are spin selling advice. Stay in the zen zone by focusing on what’s working right now on the Facebook channel. Right now, it’s Groups, Messenger, chatbots, and touches of certain types of video with hints of virtual reality signals. What about Facebook ads? It depends on the talent and agency you have behind the Facebook Ads Manager. Being in it! I’m available not just during business hours but any time I’d talk to anyone (friends, family, etc.) because this isn’t just work, it’s a community. Live videos on a regular schedule! Every Friday I get to do a 30-minute live stream to the group. The group has 8,500 members and these videos get over 900 views! That’s over 10 percent engagement! Each video gets more views as the reliability and momentum and connection builds. So how can you make the most out of your social media channels and find the zen zone? 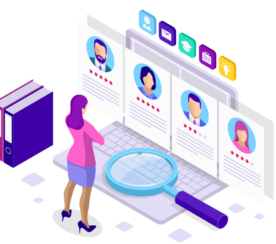 Try tools such as Xtensio to create personas, Typeform to collect info, and Hotjar to create surveys. “If you can’t measure it, you can’t improve it,” is a famous quote by Peter Drucker. Sure social ads can bring immediate gratification. Add in the investment of things like quality blog content and gaining media exposure, and you’re on your way to the zen zone. Pay it forward using social ads. Why stay in a broken relationship? If you see something is not working in social, make an adjustment and move on. This can start in a Google Calendar, Excel, or Google Doc – and even platforms such as Asana. New tool features (like Instant Image Resizer by Promo and Lumen5 square and vertical video creator) can make your life easier. Generic content with a specific audience in mind does not work. Find their pain points and help them solve problems with purposeful content. Use tools to help be creative and efficiently such as Hemingway, Grammarly, and AnswerThePublic. Medium, LinkedIn long-form posts, Facebook Live, and guest post articles will help you reach new audiences, gain more referring traffic, and possibly boost your SEO. If you want to receive more organic exposure, you need to focus on organic traffic generators such as keywords, links, and visuals. Remember each social network is its own search engine. Keep those SEO best practices for social media, too. Word of mouth is your marketing karma in 2019. If what goes around comes around is true, paying attention to your community holds the key to success. Pay attention to new channels popping up like Facebook Spaces and AltSpaceVr and start building community early. 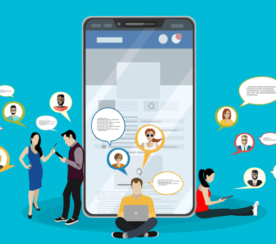 When it comes to finding the zen zones of social media it all boils down to being present, timing, focus, and staying connected to what matters most to your business objectives.